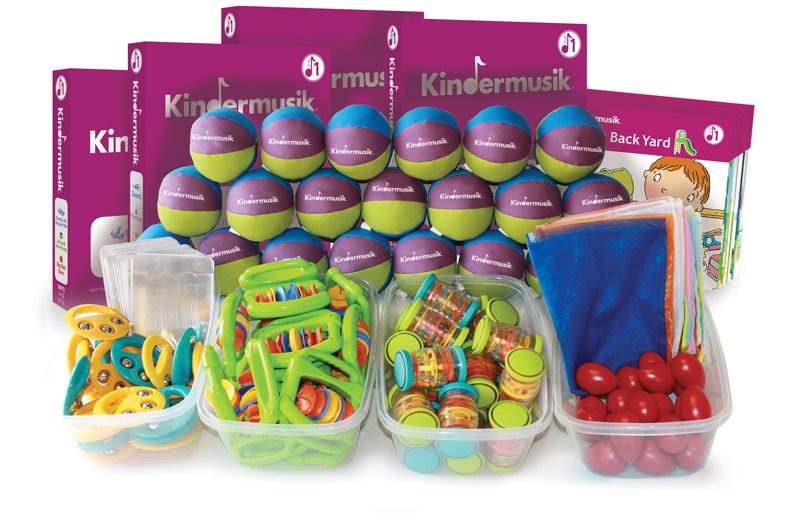 Our all-inclusive curriculum kits make it easy for teachers to become an extension of the Kindermusik team and lead children through playful, interactive, and developmentally-appropriate music and movement activities. 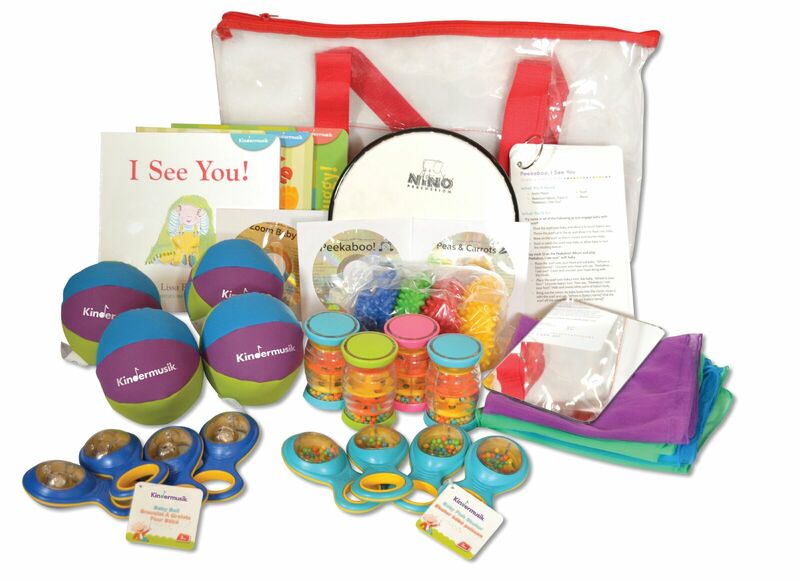 Kits are available for Foundations through Level 4 and incorporate high-quality, safety-tested instruments and manipulatives. 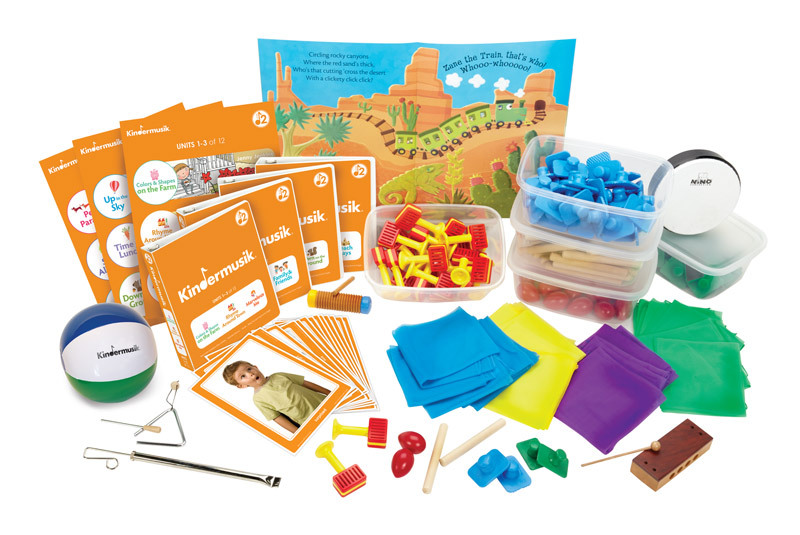 Our school curriculum kits offer enough structure to make it easy for any teacher to follow along without the need to adhere to a rigid lesson plan. 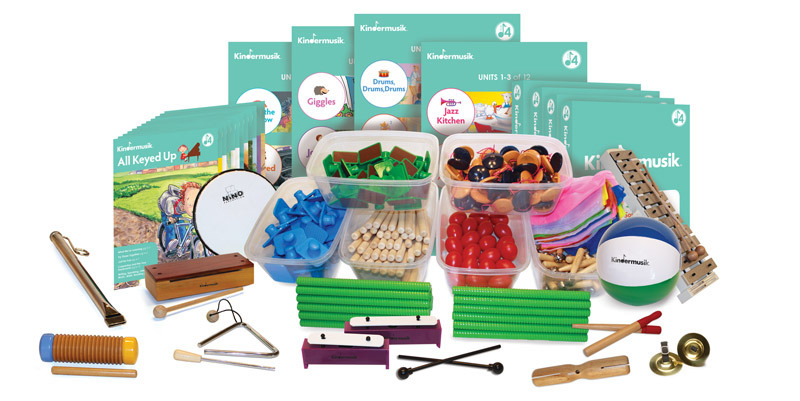 Available for five levels of learning, each kit includes developmentally appropriate, high quality, safety-tested internationally safety-tested instruments and manipulatives to enhance music-based learning activities. 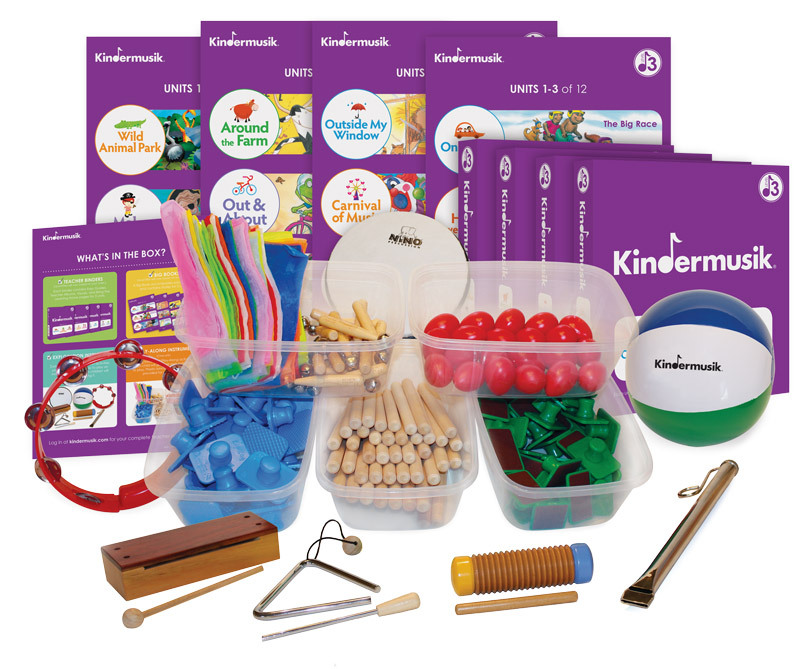 Easy guides, teach-along audio and access to our online resource center makes Kindermusik easy to integrate into any school setting, with any teacher. From birth, music-making promotes the practice of recognizing relationships between sounds and symbols. Our Foundations curriculum creates a sensory-rich, yet caring and gentle environment where infants can explore and react to new sounds, sensations, and objects. Flexible activities for tummy time, object exploration, vocal play and more are part of this joyful music-making experience. Music resource. Selection of 20 ten-minute activities. Our Level 1 curriculum offers young toddlers stimulating activities that allow them to explore their new movement and language skills with a sense of security, comfort, and confidence. Active 20-minute lessons encourage development of basic gross-motor skills, fine-motor control, and coordination, while enabling children to express thoughts and feelings naturally and easily through movement and music. Teach-along audio. Monthly curriculum structure (12 units available; 4 lessons per unit/month). No terrible twos here! The Level 2 curriculum encourages older toddlers to initiate their own ideas and explore their creativity. Each 30-minute lesson offers plenty of fun outlets for toddler-style energy, promoting cognitive development through singing, dancing, and instrument play. Greeting and goodbye rituals make for fun and easy transitions from parent to teacher and from home to school. Our Level 3 curriculum engages preschoolers’ natural love of music and activates their imaginations. As children begin to recognize, understand, and play rhythmic patterns, they boost language and math skills, confidence, independence, social-emotional skills, and self-control. Movement associated with the fun-filled 30-minute lessons stimulates the release of chemicals in a child’s brain that support memory and learning. Our Level 4 curriculum offers children exciting first experiences with musical symbols, movement with a partner or group, and more complex instruments. As children engage in these activities, they build critical thinking skills for more effective communication, decision making, and self-control. Additional learning supports refined listening skills, a heightened sense of creativity, and the ability to cooperate within a group.